, or running a home business. 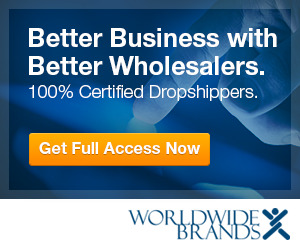 When you need products to sell online, you have to work with real wholesale suppliers and real dropship wholesalers (a.k.a. wholesalers who drop ship) every time, to achieve the highest profit margins in your e-business. Learn what you need to work with wholesale suppliers, as well as WHY doing so is critical to the success of your Internet business. You’ll also find out how to spot fake wholesale suppliers, how to ensure you only get wholesale products at wholesale prices, and what a sales tax ID can do for your home business.